Need to a quick something to eat in between classes? Put your snack $$ towards a good cause! 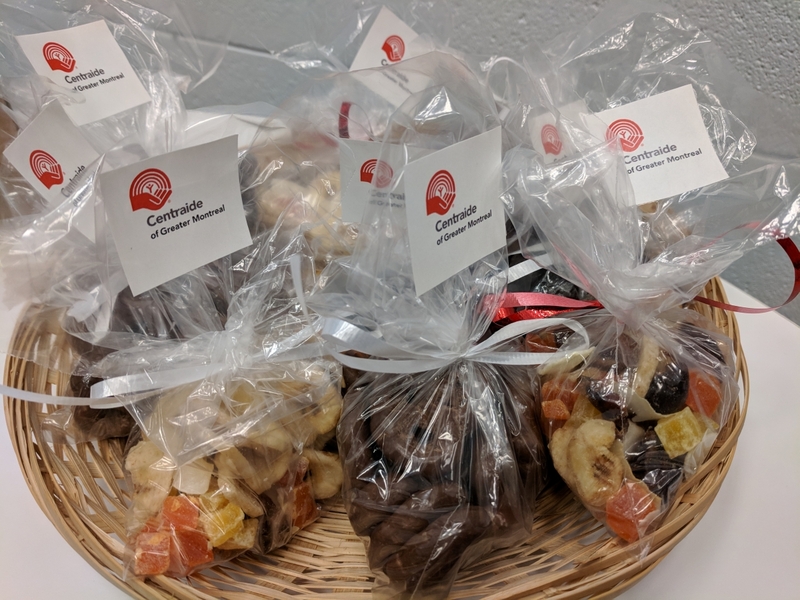 From October 28 to November 29, every Tuesday and Wednesday during lunch hours (11:30am-2:00pm), Library staff members will be selling pre-packaged snacks including chocolate covered coffee beans, chocolate covered pretzels, a dried fruit mix and a nut mix outside underneath the “bridge” between McLennan-Redpath Buildings and other locations TBA. Suggested donation: $3 per snack pack! All donations go to Centraide.